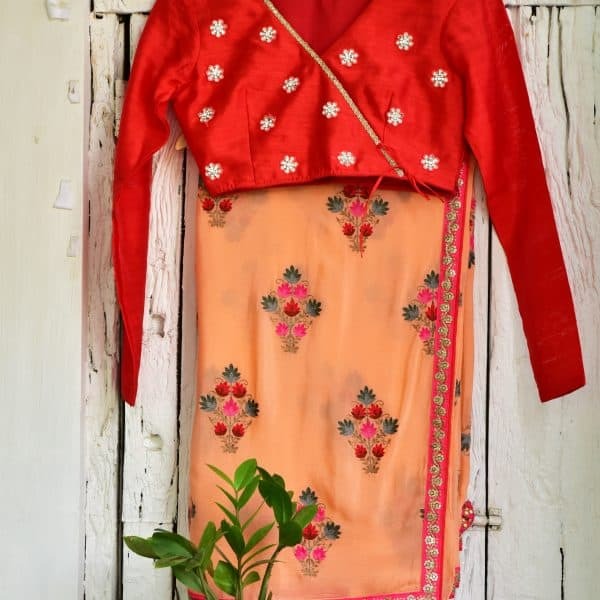 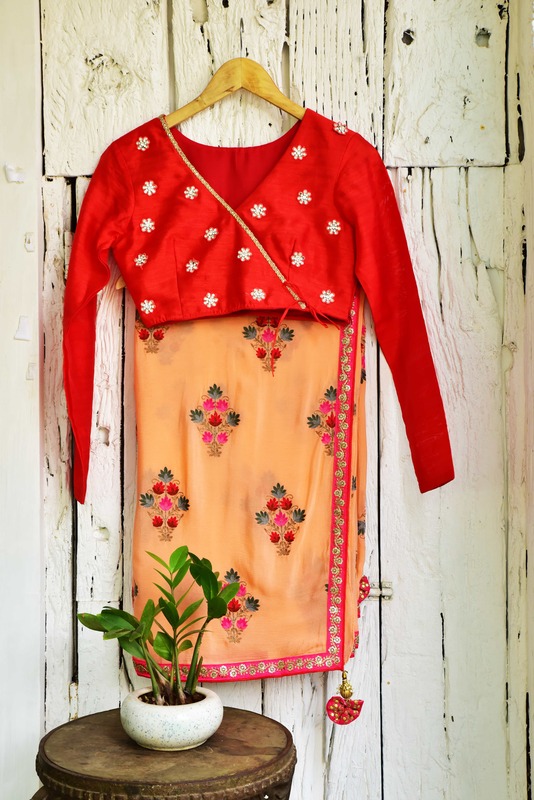 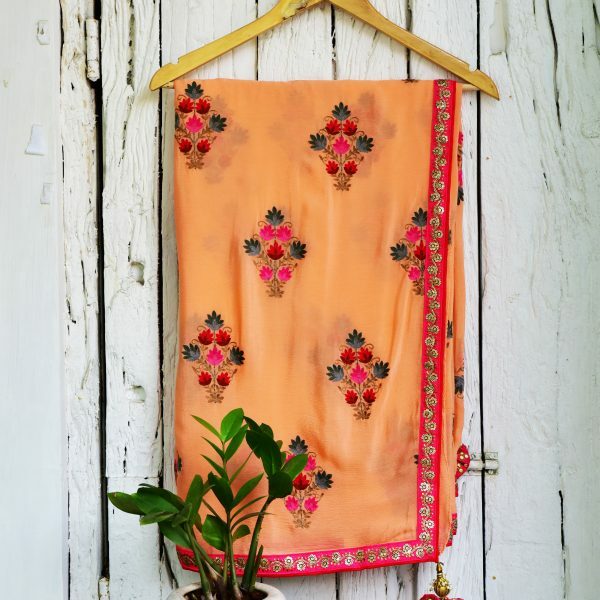 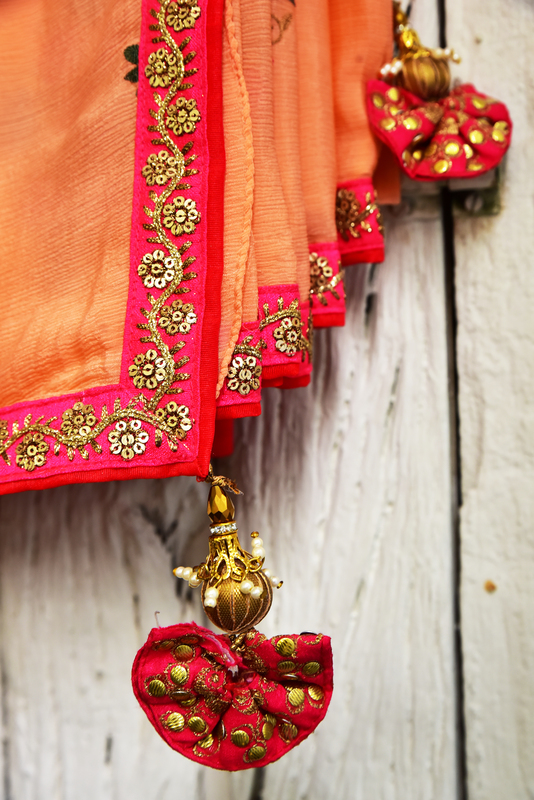 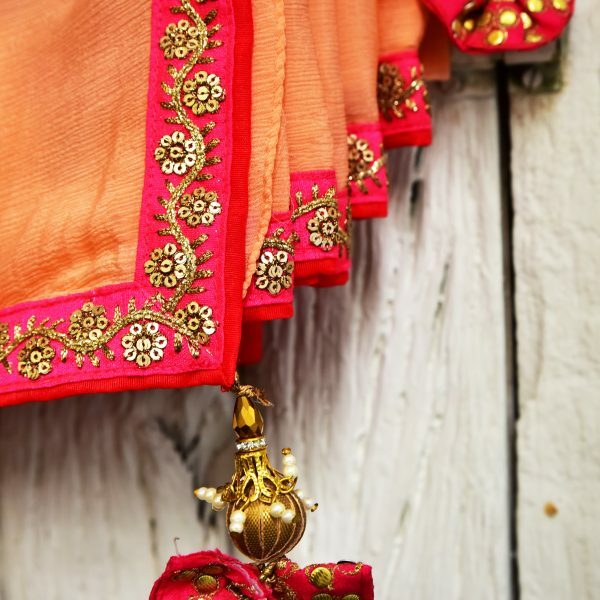 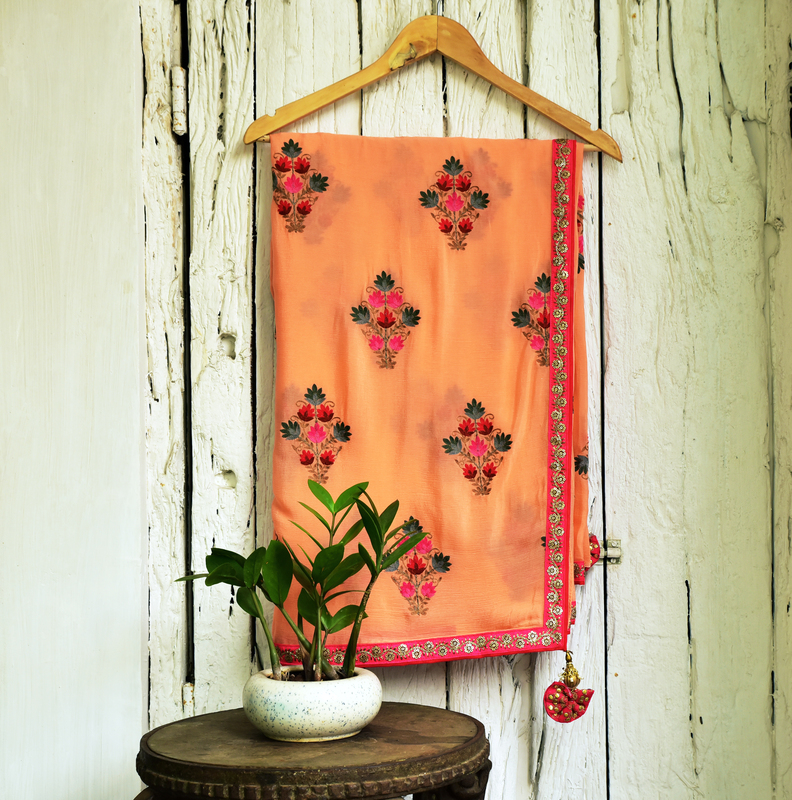 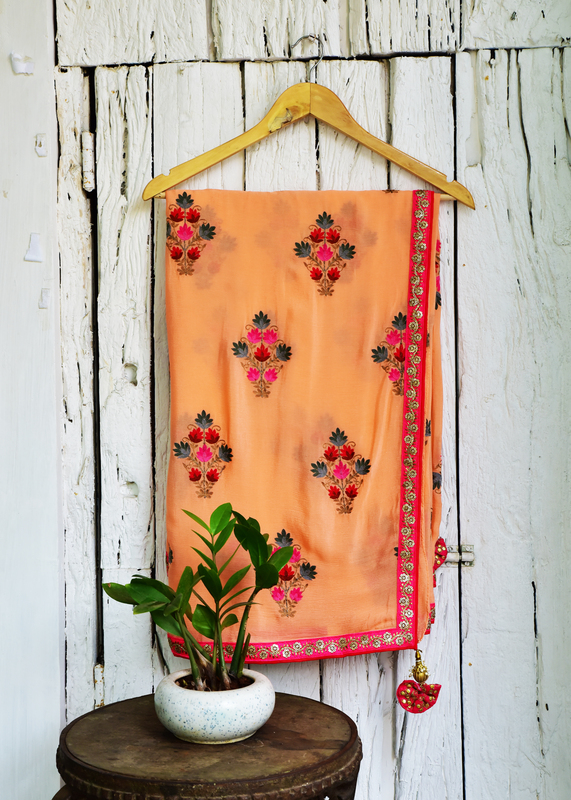 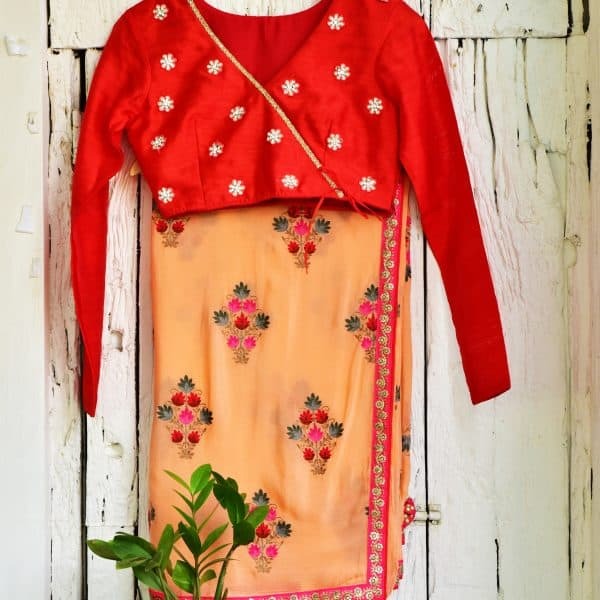 Georgette sari with clustered flower embroidery. 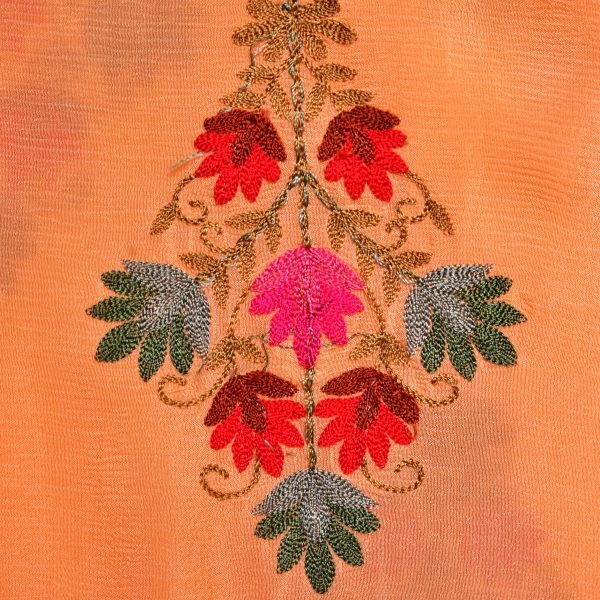 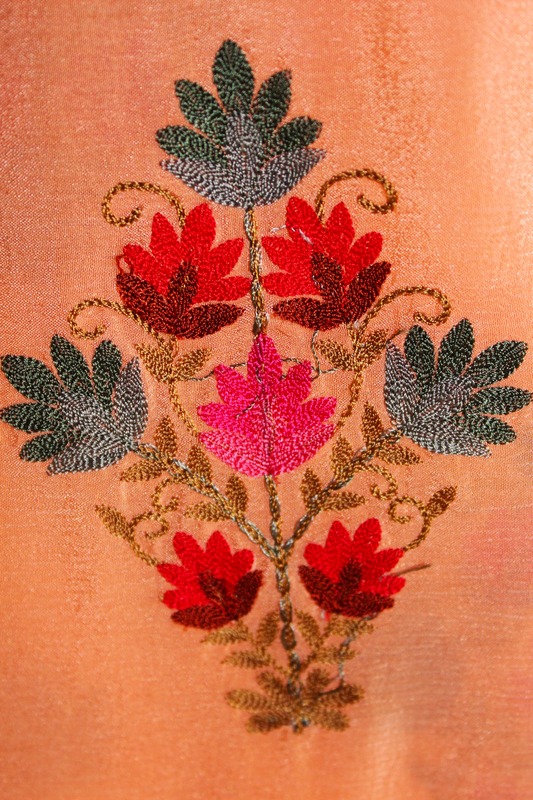 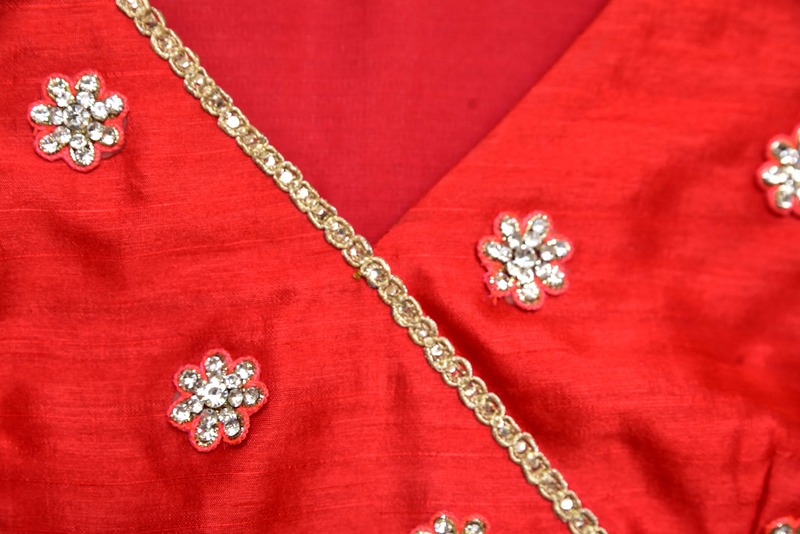 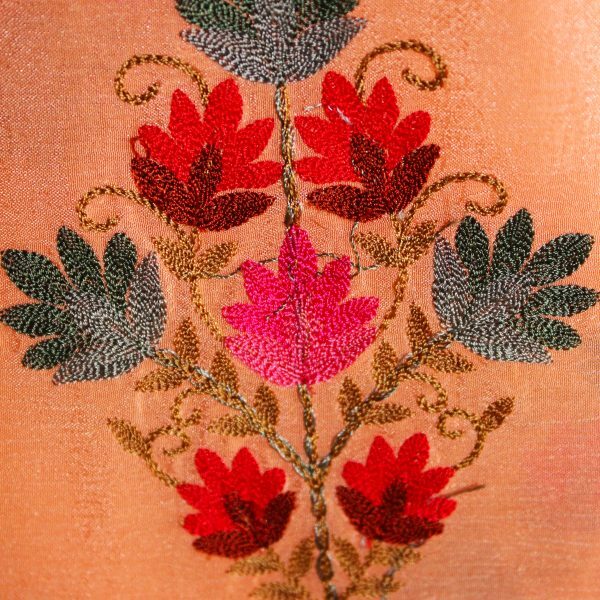 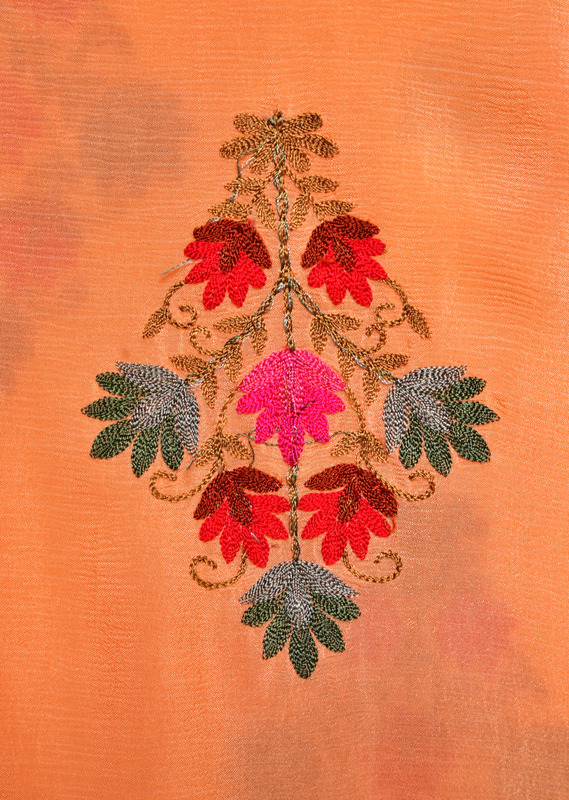 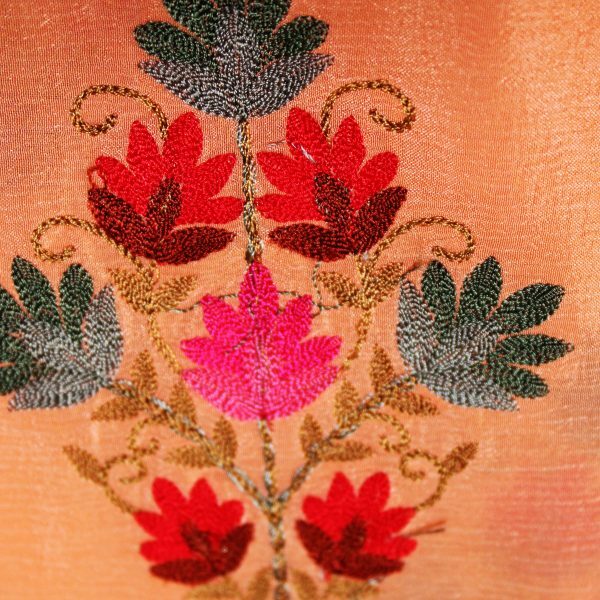 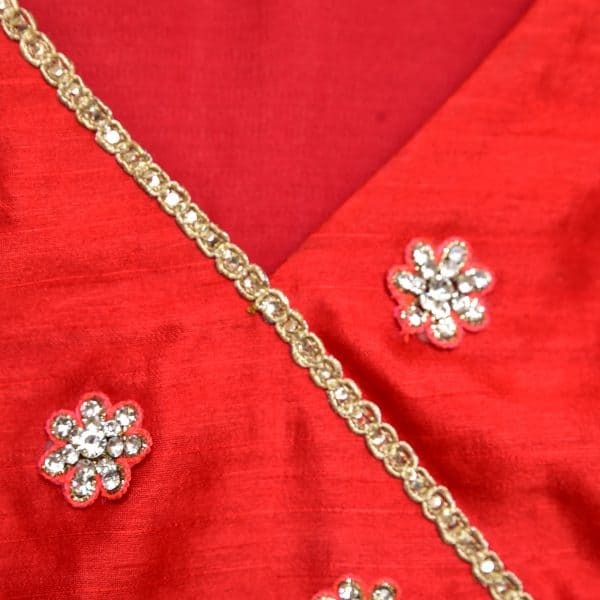 Hot pink border with gold zari and sequin work along with a plain red raw silk piping. 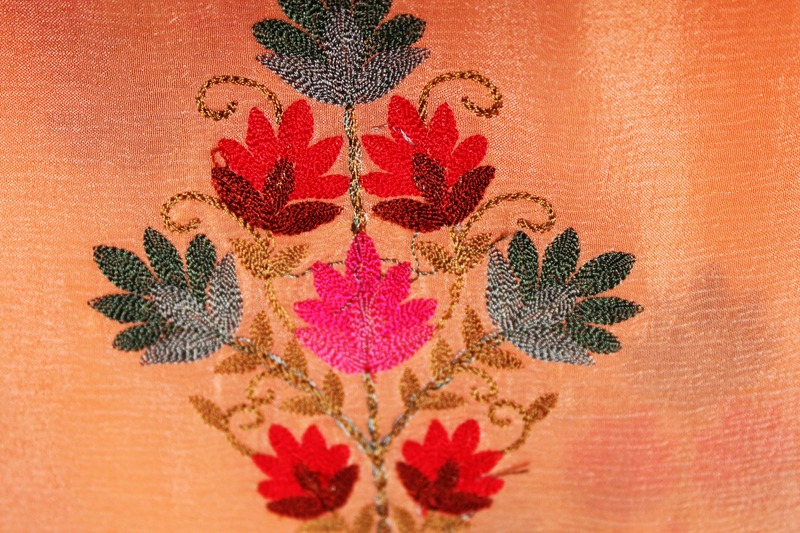 Pink latkan with pearls and gold weaving. 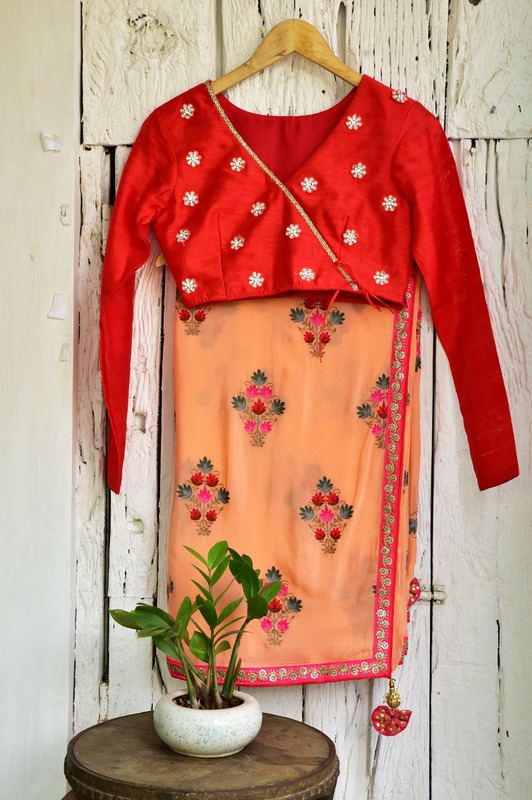 Blouse piece available in red raw silk. 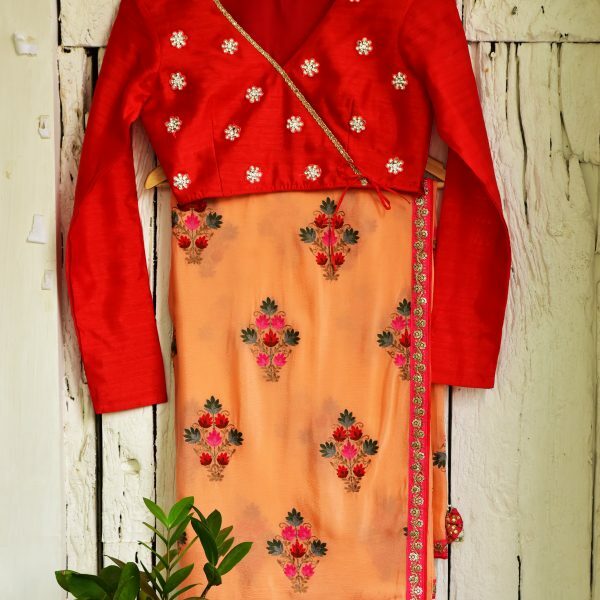 Also available with a pre stitched red full sleeve blouse. 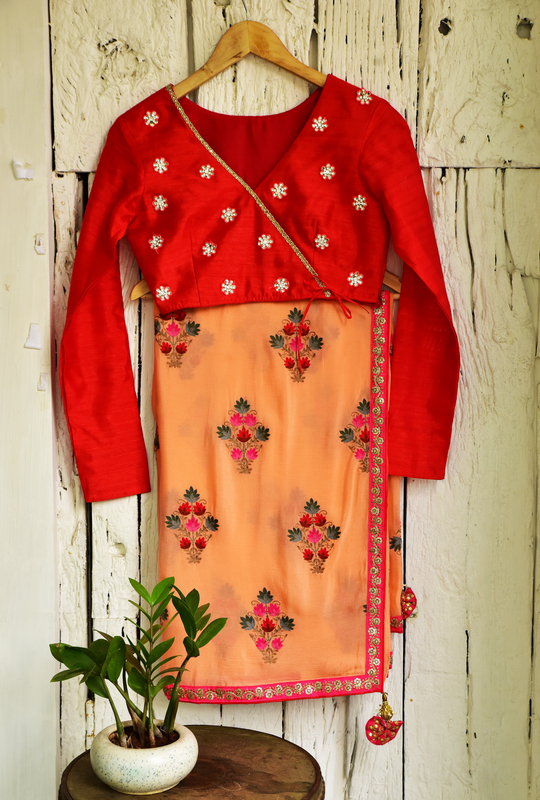 A matching petticoat is also provided.